The brief was to maintain the drama of the existing triple-height loft apartment in a converted Victorian school, while providing two separate bedrooms, an extra bathroom and a study. Floor space was added at the apex of the loft apartment to create the bedrooms. The new staircases that lead you to the mezzanine floor and new top bedroom floor had to perform very different tasks structurally. They play a very important role visually in the new space and this helps to lead the eye up to the apex of the building, maximising the verticality of the space and retaining the drama. 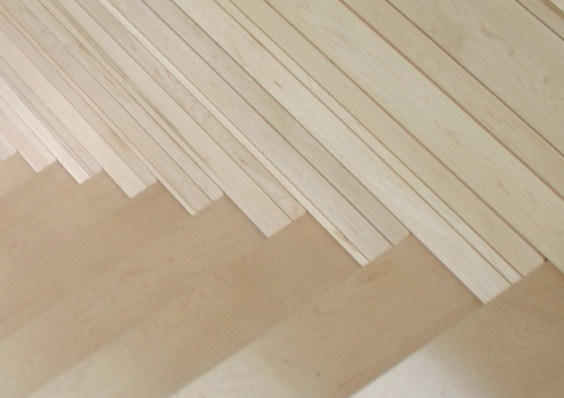 The staircases were placed obliquely from the studio’s external walls, the upper stair placed at a right angle to the lower one and passing directly over it. This playfulness helps to break down the otherwise very orthogonal and symmetrical space. Large doors were added between the existing roof terrace and the flat flooding the place with light and also providing a better relationship with the terrace, which is on a higher level than the main space. Fluidity and connection between the separate spaces was maintained by adding in windows to overlook the main space. 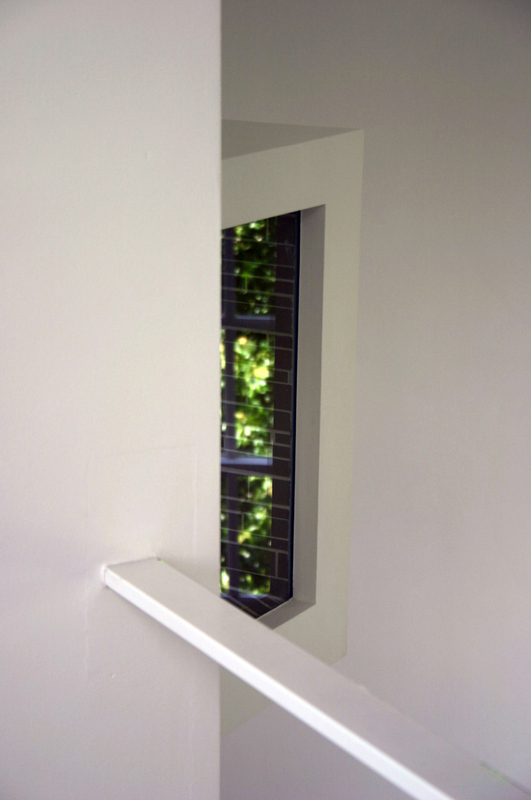 A window from the bathroom into the main space allows a bather to look out of one of the main windows of the flat whilst sitting discretely in the bath.